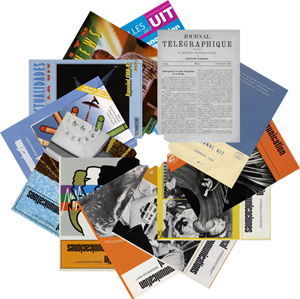 ITU Library and Archives acquires, preserves and provides access to a wide range of materials on telecommunications and related topics and on the history of the International Telecommunication Union (ITU) from 1865 to the present day. Our holdings include published works (print and electronic) and unique archival materials. Since 2007, the Library and Archives has administered a digitization programme and maintains the History of ITU Portal.